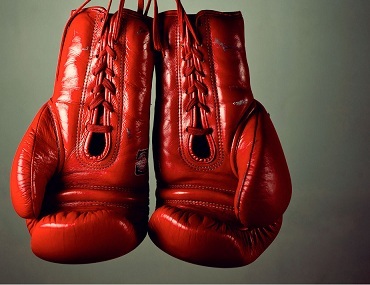 Social media is just like … boxing? That’s the latest gospel out of Gary Vaynerchuk, the two-time bestselling author and the man known to many as the king of social media. In his latest book, he breaks down social media strategy into five simple words: Jab, Jab, Jab, Right Hook. Or in other words: Give Value, Give Value, Give Value, Make Your Ask. You wouldn’t speak Spanish in Iceland and you shouldn’t post essays on Instagram. Vaynerchuk says the best social content is “native” to each platform, meaning the content speaks the right language in the right place. The goal should be to seamlessly blend your message into each platform’s unique style. What’s the native language of the platform you’re trying to speak on? Is it possible that you’ve been speaking Spanish in Iceland? Back in the glory days of television, you’d be watching Bonanza and the show would abruptly cut to the Marlboro Man trying to sell you cigarettes. During that era, that kind of marketing worked. Today? Not to so much. If users are on Instagram to see beautiful pictures, don’t interrupt their experience by posting a picture of a coupon. Instead, post a beautiful picture of your product in a picturesque setting. Are you interrupting the flow of entertainment or are you being the entertainment? Vaynerchuk argues that customers appreciate brands that “Jab” often–that put out great content without explicitly making a sales pitch. The brand is sharing a moment, creating an emotional experience with each person. Just like boxing, it’s the flurry of jabs that sets up the perfect right hook. What’s your ratio of jabs to right hooks? If it’s not–Jab, Jab, Jab, Jab, Jab, Jab, Jab, Jab, Jab, Jab, Jab, Jab, RIGHT HOOK–you’re doing something wrong. Vaynerchuk says hashtags are like waves–and the best way to surf is to ride the wave, not create it. So how closely are you listening on Twitter and following what the population at large is talking about? Are you listening for the wave and jumping onto it or are you hopelessly kicking and splashing in the shallow end trying to create a wave of your own? In a recently published SlideShare, Vaynerchuk explains that many people are still making the mistake of starting tweets beginning with an “@”–which makes the tweet invisible on your follower’s stream unless they are following that other tagged handle as well. If you insist on starting a tweet with tagging another account, put a period in front of the “@” so the tweet is visible to all of your followers. Maybe it is, but can you afford to ignore a social platform whose users send 400 million messages per day? With a core audience between the ages of 13 and 25, Snapchat has taken a foothold in the way the next generation shares and communicates. Sure, it is harder for a brand to venture into uncharted territory, but it’s those who head out to sea first that catch the biggest fish. Are you playing it safe and waiting for others to test the waters on these emerging platforms or are you rolling your pant-legs up and running into the water yourself? If you’re going to spend time telling your brand’s story on social media (which you should) and if you’re going to use that engagement to convert sales (which you will), then you need to accept the fact that this is not a slow-man’s game. This is a game of micro-content, of moments, of riding waves and kicking the Marlboro Man to the curb. Are you willing to stay up to speed and stay current with each new turn in the social media street race? There will be bumps, sharp rights, and many unexpected accelerations–but as long as you have the desire to play the game and you put in the effort–you’ve got a solid chance at winning. —Alex Banayan is an associate at San Francisco-based venture capital firm Alsop Louie Partners and the author of a highly anticipated business book being released by Crown Publishers (Penguin Random House, Inc.). For more, sign-up for Alex Banayan’s inner-circle email newsletter here. Tags: 7 Critical Mistakes You're (Almost Certainly) Making On Social Media, Alex Banayan, Fast Company, Gary Vaynerchuk, Jab Jab Jab Right Hook.. Bookmark the permalink.